When it comes to stockpiling information during your pregnancy for your nine-month journey and beyond, there is quite a bit of information and checklists to take in. It can often times be overwhelming for soon-to-be moms. Running around getting ready wouldn’t be complete without a few quick tips and “lifesavers” to help you make it to the hospital, stress less, and prepare for the birth of your child. To help you through the tough times of pregnancy and guide you with simple tips, here are 12 quick do-it-yourself hacks to help you relieve some of the burdens of being pregnant and preparing for delivery. For mamas suffering from swollen feet, take some time and soak your feet in cold or room-temperature tonic water. The quinine in the water reduces inflammation and the bubbles can help soothe any aches. After the soak, apply some moisturizing cream to lock in the tonic and moisture, thereby keeping your feet hydrated. Stretch marks are a given with being pregnant. However, an all-natural, DIY belly butter can help reduce the risk for stretch marks by simply applying it every day. Plus, it is natural so it won’t hurt the baby. For 5 step by step recipes for natural belly butter creams you can make at home, click here. Expecting moms are always needing support on both their backs and bellies, especially as the pregnancy comes to an end. 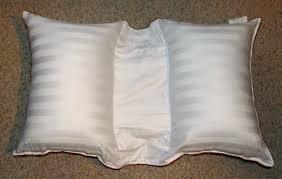 A DIY pregnancy pillow that offers support to the back and alleviates the weight of the belly when laying down can do just the trick. Plus, expecting moms need sleep while they can, so this is a great option to get some comfortable shut eye before baby arrives. To make this simple pillow at home all you need is a firm king size pillow, a seam ripper, and a sewing needle or sewing machine. Beginning in the middle of the pillow, use a seam ripper to begin opening up the long edge seam on your king size pillow. Open a hole large enough to comfortably get your hands inside. Reach inside the new opening and separate the stuffing into two halves. With a pencil or pin, mark where your new seams will be, based on your earlier measurement for the space between both pillow sides. Remove the two sections of stuffing, in a straight line, pin where the two new seams will be and sew along the lines leaving the opening at the long-edge of the pillow case. After re-stuffing both pillow sides, sew the final edges together to seal the pillow case. Morning sickness can zap your energy and make you dehydrated fast. Try making your own electrolyte ice cubes to chew on whenever you’re feeling those symptoms of morning sickness, by adding a sports drink to an ice cube tray. Sometimes, you just need something under your shirts to cover your belly and back. A maternity band can do the trick, and you can make one out of any fabric you want. It also covers up your pants so you can wear them longer, even unfastened. During those first few months of expecting, your baby belly might not grow that much. If you are looking for a way to use your jeans a bit longer, try the rubber band loop trick. Feed the rubber band through the buttonhole, then back through the other half of the rubber band. Slip the rubber band open loop over the button to give you a little space. For more tips on how to extend your wardrobe during your pregnancy, click here. Many maternity pictures use a bow to highlight the baby bump, and believe it or not, some maternity-specific bows go for a pretty penny. Save your money and use any fabric you wish, such as bed sheets, table runners or a light scarf, to make a bow by wrapping it around your waist, situating it above your bump, and tying, or pinning it in a bow form. For your photo, be sure to wear contrasting clothing to make it stand out more. This cute DIY trick is popular with expecting moms. Using a chalkboard, write down stats about the baby’s growth like how far you are in the pregnancy when the baby is due, and what you are craving. Rather than heading to the store or shopping online for a pricey designer chalkboard, just grab some chalkboard paint and go to town on any surface that is significant to you. This can be an old cabinet door, scrap piece of wood or even the back of a cheap plastic serving plate. Get creative with lettering and doodles to make it unique to you. When it comes to the unpleasant pregnancy symptoms, moms can drop a good amount of cash on over-the-counter remedies. One great way to relieve heartburn and morning sickness while pregnant is by making a simple magnesium lotion. You can make your own to help with these symptoms and it can be used without hurting the baby. To make this you will need 1 C. magnesium chloride flakes, 1 C. filtered water and a spray bottle. Gather your supplies and heat the water to warm it up. Meanwhile add your magnesium flakes to the spray bottle. Pour the water on top of the flakes in the bottle and using a wooden spoon, stir until all the flakes are dissolved. Use this as a light spray as needed to areas of the skin to help alleviate symptoms. For those that are a little more savvy when it comes to crafting, here’s one that can have you going to the hospital in style. 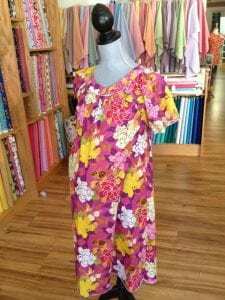 Making a DIY hospital gown has become a more common thing, you can choose your own fabric pattern and style. To make this you can use a simple dress pattern to make a comfortable hospital gown that makes it fashionable to have your baby. Here is one other pattern option for making your own gown. When it comes time for delivery and your post-delivery hospital stay, having priority on new ice chips or an extra pudding cup can be a simple pleasure. Put together a few appreciate gifts for the nurses who help with your baby’s delivery and you’re sure to make a good impression. Put in some gum, pretzel snacks, and some lip balm to help show them just how much you appreciate their help. If you’ve searched the internet for post-delivery recovery, you may have seen that “padsicles” are a common recommendation. These items are basically cold a cold compress for down there that also includes a few ingredients to aid in healing and soothing the pains associated with child birth. To make these you will need pads, witch hazel, Aloe Vera, and large freeze storage bags. To construct, unfold a half dozen, or so, pads and lay them out flat and repeat the following steps on each pad. Start by spreading a good portion of Aloe Vera gel to the entire pad area. Next pour 1-1 2/2 tablespoons of witch hazel down the center of the pads. You can also finish up with 2-4 drops of lavender essential oils if desired. Refold the pads and place them in a large bag and store in the freezer. When you are ready to use them, remove them from the freezer and let them sit at room temperature for 5 minutes prior to use. Getting ready to have that baby can be a stressful time. However, as you near your due date, try some of the above tips to help you make it through pregnancy and delivery with a little more ease.